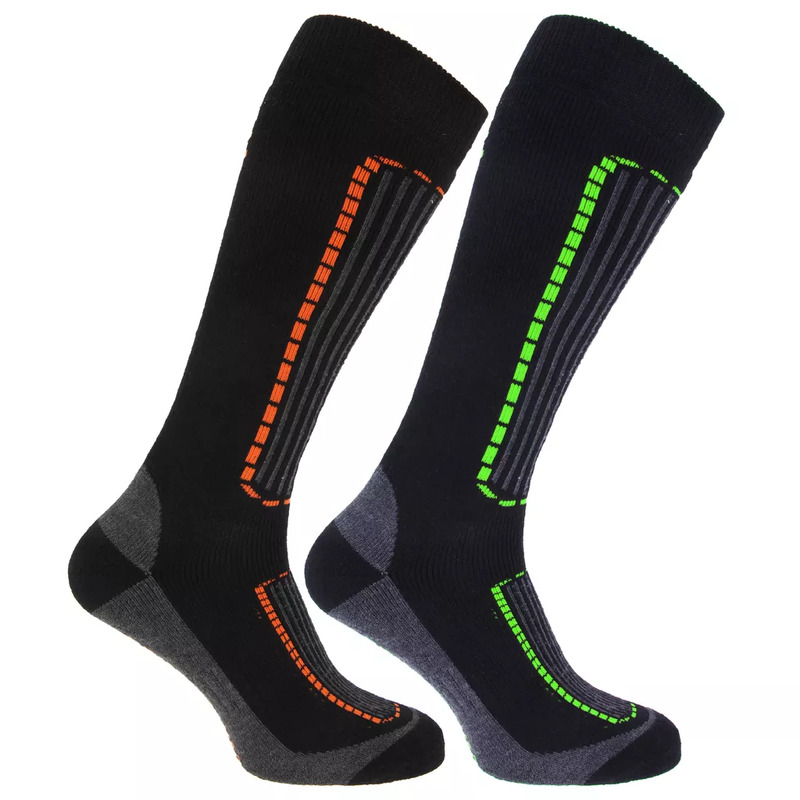 Mens ski socks with compression technology for extra protection and comfort. Designed for outdoor activities like skiing and snowboarding. Designed to keep your feet cool and dry during and after physical activity. Material: 85% Polyester, 13% Polyamide and 2% Elastane.